Bangladesh Method ist Church set up its base in Bangladesh on 12 August, 1984. Bishop Nibaron Das, after finished his study in ACTS South Korea, was very much impressed by the theology of John Wesley. After back from Korea he start Bangladesh Methodist Church with 12 members in a small room by the help of a church. But after 24 years Bangladesh Methodist Church, which Motto is “SOUL WINNING, CHURCH PLANTING” has established 153 churches all over Bangladesh in 7 Dioceses and has won more than 13,000 Soul. Now Bangladesh Methodist Church is the one of the Big Evangelical Church in Bangladesh. The servant of Lord Bishop Nibaron Das has vision not only winning the soul but also nurture the soul for Lords Kingdom in future. That’s why he asked many friend church to help this sister concerns for long time. THE HONGKONG METHODIST CHURCH response and wants to help Bangladesh Methodist Church. THE HONGKONG METHODIST committed to help 3,300$ per year for the Girls Hostel through Bangladesh Methodist church. 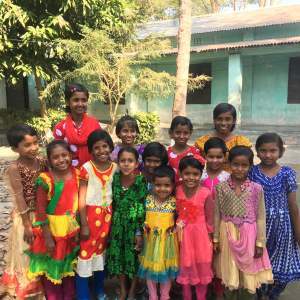 With thanks Bangladesh Methodist Church start a girls hostel since 2006 with 16 girls in Gopalganj District which is about 275km far from Dhaka. The girls who are very much good in study and smart but whose families are very poor but Methodist, is getting chance to stay the hostel with totally free of cost and keep their study continue. 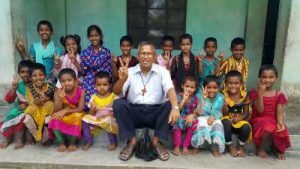 On 2006, Bangladesh Methodist Church made a temporary dormitory for them to stay but unfortunately in 2007 cause of cyclone the house fell down and in present the children are staying in the Chapel. It is very much sad to inform you that cause of lack of finance we were not able to build the new house for the children again. So they still stay at night at chapel. So we need to re-build the dormitory for the children with bricks, cements and attached toilets which cost about USD$25,000. And need USD $25 as monthly support per student which is for their food, educations, dress, school materials and etc.